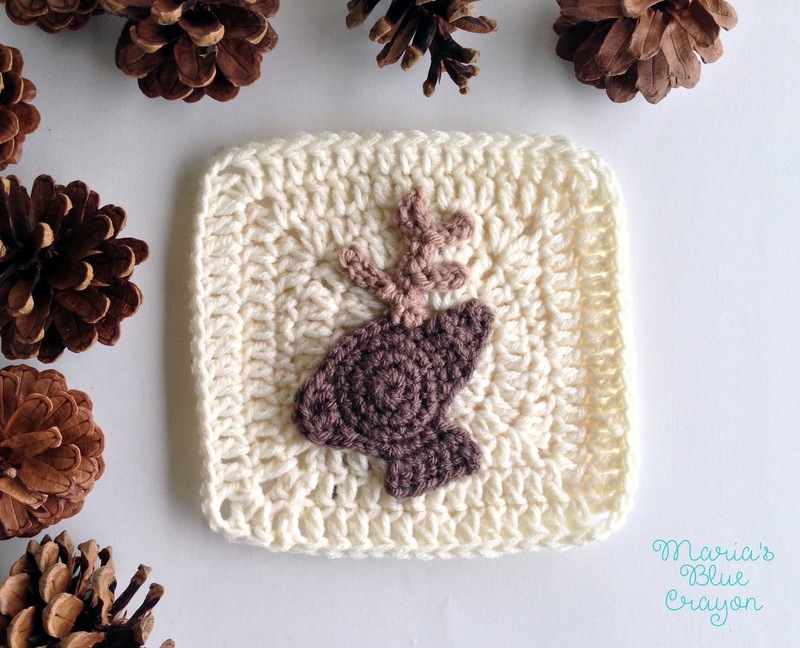 GET THE CROCHET DEER APPLIQUE ALONG WITH THE GRANNY SQUARE PATTERN IN AN AD-FREE PDF DOWNLOAD HERE. OR SCROLL DOWN FOR THE FREE DEER CROCHET PATTERN. The 10th and final Woodland themed square is complete! I spent months nursing this project, and I’ve finally finished all the themed squares! I still have to finish last minute touches such as the border and making sure everything is secure, but I’m seeing it all come together and it feels fantastic! This deer was by far the longest I took to design. This is one of FOUR designs I came up with. Five if you count the fact that I changed the antler on this one at the last minute. 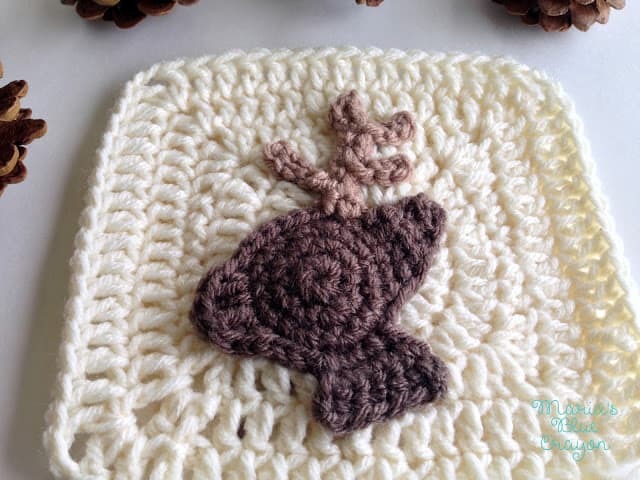 There are other deer appliques out there and I did not want to step on anyone’s toes especially since some appliques out there are strictly for purchasing. I played around with a more cartoon-y design, but decided this design fit more cohesively with the blanket. My fear was it would be too similar to the moose, but it definitely has its own charm! I hope you enjoy this design and that you’re as stoked as I am to see the final project! I am planning on creating more designs in the future for animals that are requested. I can’t promise when these will be done since I have other projects in mind, and this one took much longer than anticipated. 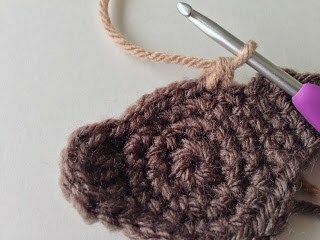 If you sign up to be on my mailing list, you will gets updates of when I post patterns. 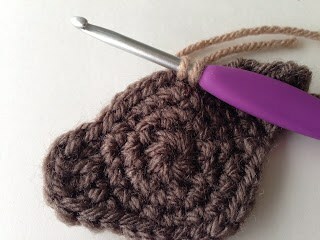 This way you won’t miss when I get around to posting new designs for this afghan! Click here to see all the other animals I have designed as well as the suggested layout for this afghan. Row 4: Chain 1, SC in next 4 stitches, slip stitch into next 7 stitches, [SC, DC] into next stitch, 2 DC into next stitch, [DC, SC] into next stitch, slip stitch back to beginning of round, join to first SC. Chain 1, decrease, fasten off. 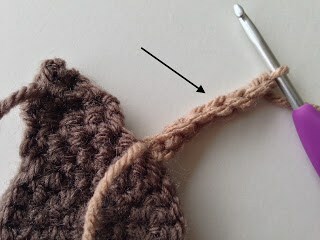 Attach yarn 6 spaces to the right of the ear. I have provided a step by step with pictures in order to complete the antlers. A big paragraph of explanations did not sit well with me, so I hope the pictures are helpful to you! 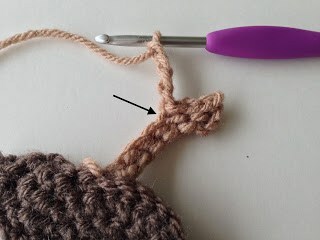 The antler is started with a foundation single crochet. 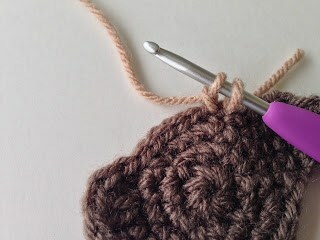 When starting a foundation single crochet, two chains are necessary to start. In place of the two chains, we will be using the two stitches to the left of the ear. 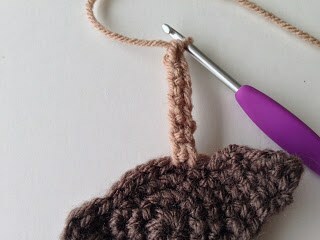 Attach yarn to the space just to the left of the ear. 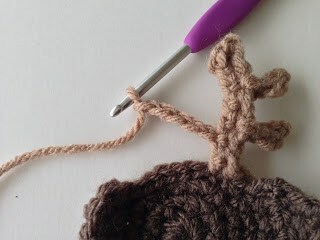 Insert your hook into the next stitch and pull up a loop so there are two loops on your hook. Yarn over, pull through only one loop. Yarn over, pull through both loops. This counts as one foundation single crochet. Work 6 more foundation single crochets for a total of 7 foundation single crochets. Chain 1 and turn your work so you work on the side that has double loops on the top. This is the main portion of the antler. Slip stitch 3 times. Chain 4, slip stitch back down the chain including the space on the main antler. This makes one point. 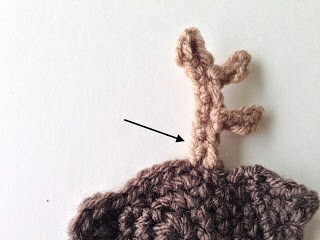 Slip stitch down the main antler 2 times. Chain 4, slip stitch back down the chain including onto the main antler for another point. 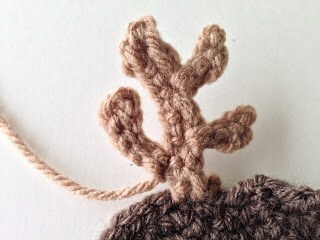 Slip stitch down the main antler back to the head. 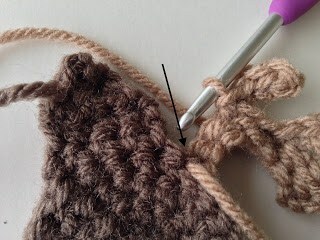 Slip stitch in the space on the head as well. Fasten off. Turn your work around. This is what your antler should look like so far. 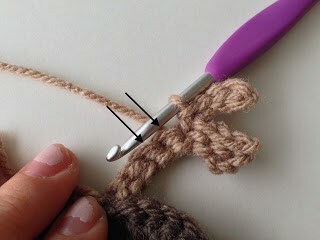 Attach yarn to the second space above the head on the opposite side of where you made the two points. Chain 5, slip stitch back to main antler. Fasten off and leave tail for sewing antler onto granny square.